To check your winch line, unspool the line while maintaining constant tension on it as the line is being unspooled. Once unspooled all the way, make sure to check the setscrew on the drum. If this setscrew is loose or unfastened, your line eyelet could disconnect from the drum and start to unwrap during a recovery. Once you have inspected the line, now it’s time to re-spool it. One of the best ways to re-spool your line is to attach the end of the line to a stationary anchor, and then slowly pull your vehicle toward the anchor. If you can do this on a slight incline, great. If not, apply moderate pressure to the brakes as you go. You want to give the line a good uniform pull without making the winch work too hard. If you find that the line has re-spooled unevenly across the winch drum, unspool the line and re-spool it again. Making needed adjustments to get the line as evenly re-spooled across the face of the drum as possible. This will make pulling your line out during an actual recovery much easier, and prevent bending your which spanners or pinching your line. 2. Longer distance pulls increase winching power. To increase winching power, put as much distance as you can between the winch vehicle and whatever you’re hooking onto. In other words, the more line you unwind, the greater pulling power your winch will have. 3. Keep pulling intervals brief. Sustaining a pull for a long time can overheat the winch motor (and run down your battery). So try to avoid pulling for extended periods of time. Always remember to check your winch’s operator’s manual. Most winch manufactures specify how long your particular winch should be used per interval. Exceeding these suggested intervals can cause damage to your winch. Making it unreliable for future recoveries or uses. 4. Get a good battery. 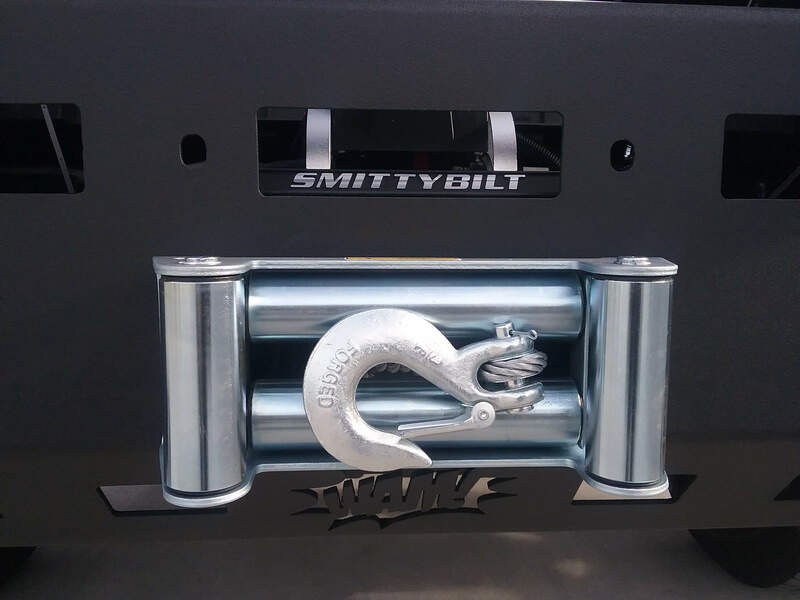 Since the winch draws power from your vehicle’s battery, you want to equip your rig with the largest battery you can, paying attention to CCA (cold cranking amps) and MRC (minute reserve capacity) ratings. These ratings indicated overall battery power and how long the battery can power the winch before performance falls off. Keep in mind that the higher the CCA and MRC ratings, the better. There are a few batteries that are specifically designed for use in trucks and SUV’s with multiple (high draw) accessories. Many of these batteries have the added advantage of enduring extreme off-road conditions better, not leaking battery acid, and providing a greater power reserve than standard OEM batteries. Such batteries can be found at many local auto parts stores, or your local off-road equipment shops. 5. Assist Your Winch With The Drivetrain. Having a new winch, and higher load capacity battery is great, but don’t forget to give your winch a helping hand. Remember, in an actual recovery, you never can precisely calculate the load force your winch has to work against. Having your vehicle cranked, and using the accelerator (and drive-train), can help extend the life of your battery and winch. Not to mention helping to ensure you enough power to complete the rescue. Keeping your vehicle running keeps the alternator charging the battery so it doesn’t run low. Using your accelerator appropriately, gives your winch a helping hand so that it can pull your rig and all your equipment to easier terrain without burning up.